Searching for some inspirational quotes, wishes and sayings about Baisakhi (Vaisakhi). Now you don't have to search for them anymore. As here I have compiled down some of the best and inspirational Baisakhi quotes. 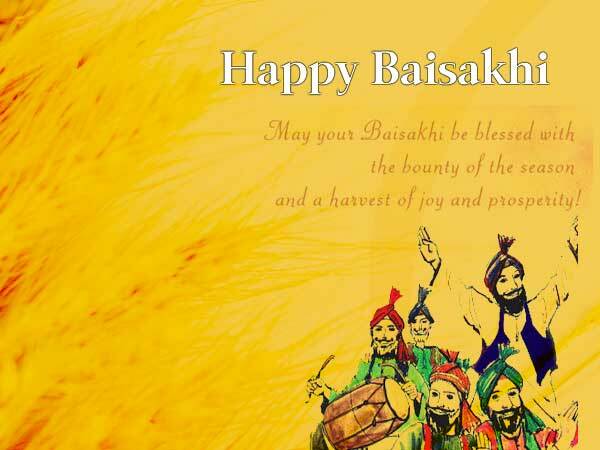 Just hope you will like the quote compilation and able to find right words for your Baisakhi messages for your love ones. Note: All of these quotes and wishes are in Punjabi (English Transliteration). Has deyon Doston nu hasaan vaaste, Marr java Doston ko manaan vaaste. Baisakhi hai khushi manaan vaaste. Baisakhi ki vadhiyan saare parivar nu. Masti mein jhoom aur kheer-poore khaa…Ab na kar tu duniya ki parwa…Baisakhi Mubarak Ho!! baisakhi te shubh kamna hai sadi..
Tusi Hasde ho sanu hasaan vaste,Tusi ronde ho saanu rovan vaste. Ek war rus ke ta vekho sohneyo, Marr javage tuhanu manaan vaste. Baisakhi da din hai khushiya manan vaste. Baisakhi diyan vadhayia. For more Punjabi quotes and sayings, check Inspirational Punjabi Quotes page.